Just across the river from our own farm, the two meadows by Church Farm bungalow are left unfertilised and cut for hay late each year. 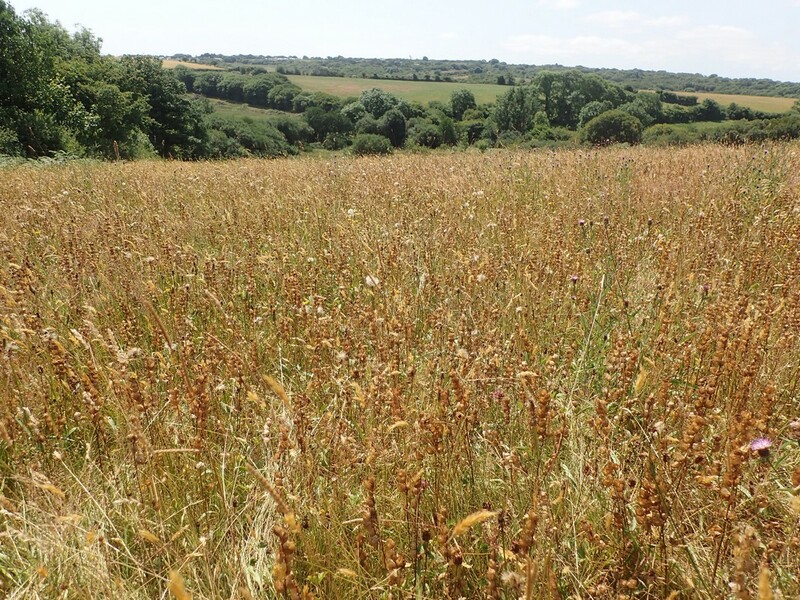 This has allowed yellow rattle to become characteristically abundant, and red clover, knapweed and other flowers beloved of bees are also here, together with a growing population of early and southern marsh orchids. The seed from here would suit a meadow restoration project on dry neutral or slightly acidic soils, particularly where yellow rattle is needed to counteract strong grass growth. Species listed in bold are generally present and often prominent in the mix.